Washington DC (IDN) - When we humans go to war, our least favorite way is hand to hand, face to face. Over centuries that has led to creation of weapons that allowed us to separate ourselves from our adversaries – first by yards, then miles. Now, technology allows attacks half a world away. Until a decade ago, most of the remote engagement capability was owned by the U. S. or Israel. Not anymore. Unmanned platforms – in the air, on the ground, and on or under the water – are becoming less and less expensive. So are the sensors that help guide them. And nanotechnology is making them smaller. Today, U. S. soldiers in Afghanistan launch throw-bots into the air by hand, and mini-helicopters deliver frontline supplies by remote control. Adding artificial intelligence to the mix, we are now seeing some platforms operating without even remote human control. An unmanned aircraft flown by an onboard computer recently refueled another unmanned plane – in the air – as it, too, flew completely on its own. These tools of remote engagement are already changing modern battlefields. And some people worry we may not be giving enough thought to how much they’re going to change things. Simon Ramo has been thinking about this sort of thing for a long time. 99 years old, he knows something about national security. Remember the defense firm TRW? He’s the R.
Such a partnership, he says, does more than save life and limb. It also saves the huge expense of maintaining a big military presence overseas. But he says robot wars are much more complex than that. Robots, he says, fundamentally change who goes out to fight very human wars. What capability are those humans managing? Battlefield commanders say – most importantly: an ability to provide persistent surveillance and the intelligence that comes from it. Commanders whose unmanned systems roam on the ground or in and under water gain similar benefits. 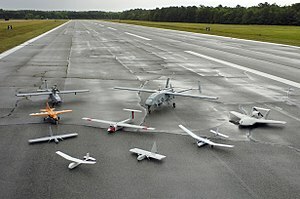 That’s why many say “don’t call them drones.” In military terminology, drones are dumbed-down vehicles capable of following only a predetermined path. In the air, pilots in smart planes used drones as targets. So while most people around the world have come to call them drones, the people operating them prefer the term unmanned systems. Well, some of them. General Gorenc says even if there is no one in the driver’s seat, it takes a lot of humans to keep the systems working. “There’s hardly anything unmanned about it,” he says, “even in the most cursory of analysis. So it takes significant resources to do that mission.” A mission that is possible because as the vehicles have developed, so too have the sensors providing them an understanding of precisely where they are at any given time, and optics that have improved the images they collect and send back. Besides loitering for hours or days over places commanders want to keep an eye on, what can these systems do? We will likely see more unmanned craft delivering supplies – meaning air crews or truck convoys will be put in less danger. Dempsey says it is possible, too, that a wounded soldier could soon be bundled inside a remotely piloted aircraft for evacuation to a field hospital. “Logistics resupply and casualty evac could certainly be a place where we could leverage technology and remote platforms,” he says. And of course, as Georgetown University Professor Daniel Byman notes, some unmanned systems — most notably the Predator drone – can kill. There has been controversy about the two ways those drones deal death – by targeted or signature strikes. Signature strikes, on the other hand, use sensors to watch for trends of behavior that seem suspicious then launch an attack when it appears – to a computer algorithm – that the series of behaviors point to bad guys doing, or getting ready to do, bad things. Signature strikes bring with them a greater risk of killing or wounding people seen as innocents. And death by remote control can be perceived as callous, prompting a backlash. While recently in Yemen, Swift talked with a number of tribal leaders about the unmanned system attack that killed terrorist provocateur Anwar al-Aulaqi. “They were more concerned about the drone strike on his 16-year-old son,” says Swift, “because they saw him as a minor, rather than as a militant, and there was some sympathy for him” – even though Swift says many of the same people thought the boy’s father got what he deserved. A key aspect of better, says Swift, is ensuring that remote engagement is always paired with human contact. Not everyone acquiring unmanned craft will be concerned about tactical nuance. Reports in early October, for instance, indicated that Hezbollah fighters may have begun using an unmanned surveillance craft – flying it over sensitive sites in Israel. Who is selling to customers on U. S. and Israeli “no sale” lists? China is in the game. And Wezeman says more and more nations and groups are shopping for the technology. In some ways, remote controlled war could prove a more effective tactic for small groups of bad guys, says National War College Professor Mike Mazarr – offering personal opinions on the topic, not necessarily those of the Defense Department. The use of any robots scares some people who worry about machines making potentially disastrous mistakes. Advocates of the technology offer the reminder that to err is human. Robotic accuracy could bring improved safety to even manned aircraft when it comes to taking off and landing. Still, after watching failures in some other supposedly smart systems — automated trading software on Wall Street, for instance — many say they fear movement toward unmanned systems that think for themselves. The U. S. Army is funding research at Georgia Tech into whether it is possible to create an “artificial conscience” that could be installed in robots operating independently on a battlefield. So what if a battlefield robot does goes haywire. Who is responsible? Those who chafe at what they call a lack of imagination in the use of robots, though, say that should not stop or slow the integration of such systems in areas where they can do better than humans. Too, say critics, robots should not necessarily look like people – pointing to a robot being created to fight fires onboard Navy ships. It walks around on two legs, about the height of a sailor carrying a fire hose. Shannon says problems sometime result when people who built manned systems try to create something similar, just minus the human. He encountered the phenomenon with designers determining what visual information would be available to those piloting unmanned aircraft from the ground. The brave new world of robot wars could well require the nation to field a new type of warrior, as well. In the end, robots thrown into war efforts are put there for one reason: to win. Would it be possible to win a war by remote control? Another ethical consideration is raised by those who worry that remote engagement seems “bloodless” to those employing it. Finally, it is worth noting that the sensor information, so important to controlling unmanned systems, flows through data networks – webs susceptible, at least in theory, to being hacked. Susceptibility to being attacked with remote systems leads Mazarr to ask if the U. S. – with its highly interlinked, interdependent economy – might do better to try to limit the use of remote controlled systems, rather than expanding their use.